Docentitos is the Weston Art Gallery’s acclaimed art ambassadorial program for young people ages 9-12 years. 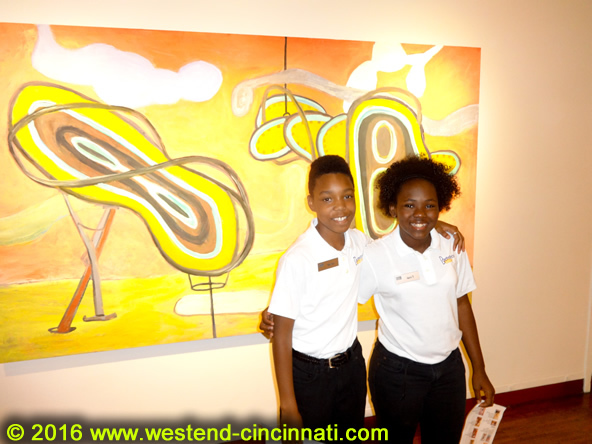 This two-week summer camp takes place in the Weston Art Gallery in the Aronoff Center for the Arts. Daily activities included classes, artist talks, theater tours, workshops, installation and studio visits, script rehearsals, field trips and a final project. After graduation, both students were leading tours of the gallery’s summer exhibition(s). When you start early and work hard, sky is the limit, as Titi has proved. 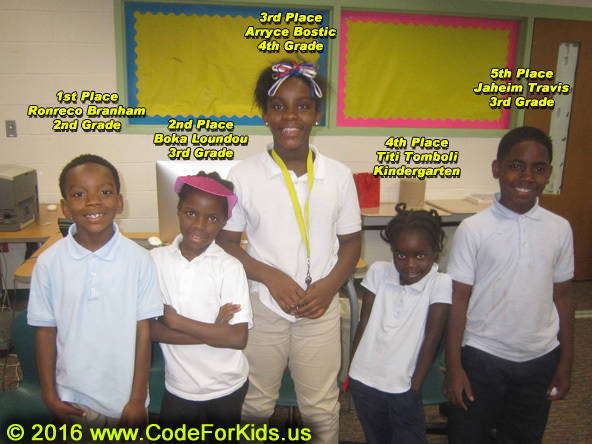 She is still in kindergarten, but consistently participated in all IT/Robotics training sessions, and thanks to her hard work and dedication, she placed 4th, winning against several older students! With these talented and very hard working students, with Hays-Porter becoming now Ohio's first "High-Tech Elementary School", and together with Taft Information Technology High School right next to Hays-Porter, the "West End IT Education Pipeline" has become a reality! If you would like to donate computer equipment and other prize items for future competitions, please contact us. 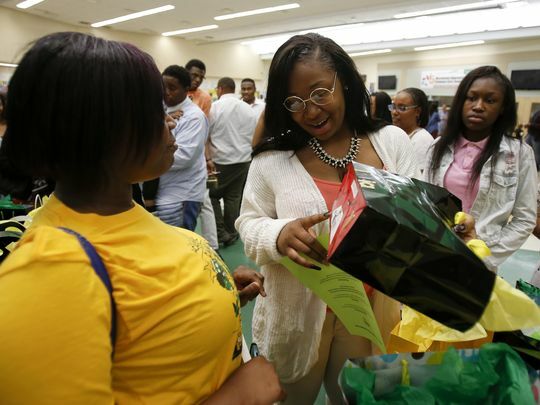 Sinita Scott, an English teacher from Taft IT High School went an extra mile for her graduating students! She decided to give each of her 87 students individual gifts with an individual letter. As she stated on her fundraising page, she knew "their favorite colors, favorite sports teams, and favorite super heroes in addition to knowing them as individual students". People donated money for the gifts and as a result all students received a wonderful surprise! You can read the full story in the Cincinnati Enquirer. It made then national headlines via USA Today! Thank you Ms. Scott for reminding us all what it means to be a great teacher who truly cares about her students! We are so lucky to have you as a teacher here in West End! 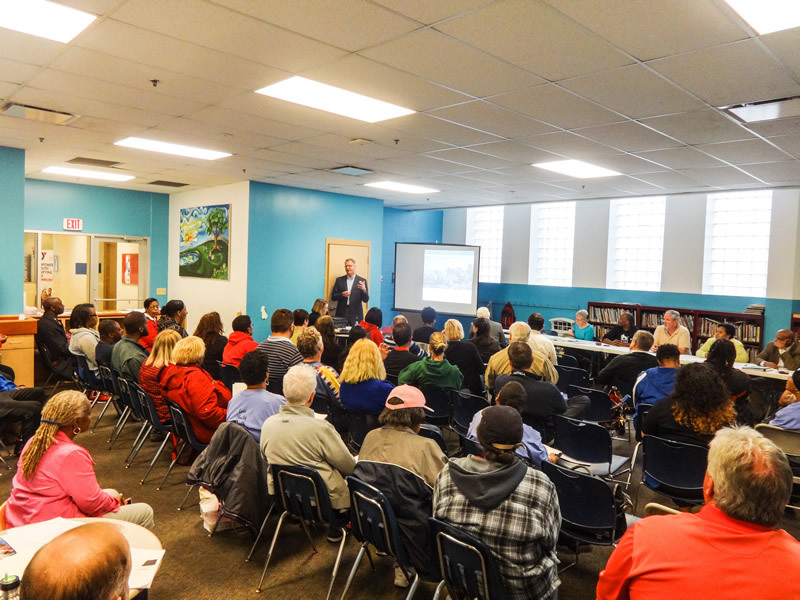 The residents expressed strong support for the move and applauded Messer's commitment to help with jobs creation for West End residents, and for becoming the Corporate Sponsor of George Hays-Jennie Porter Elementary, which recently became Ohio's first "High-Tech Elementary School". 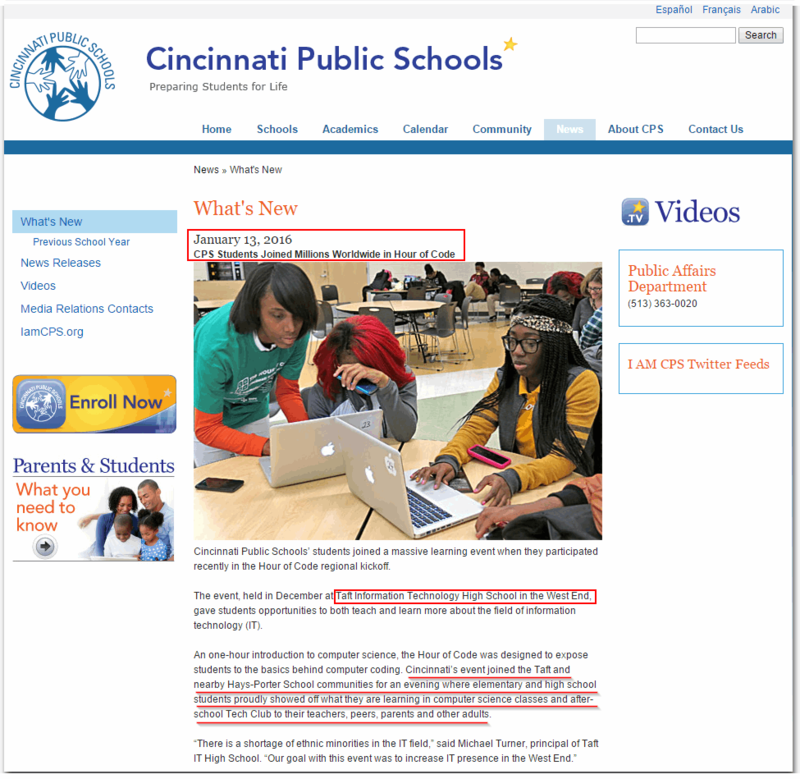 The engagement at Hays-Porter would be similar to what Cincinnati Bell did with Taft Information Technology High School. Both companies expressed interest to collaborate in supporting the creation of the "IT Education Hub" in West End. Construction of the 50,000-square-foot facility is expected to start later this year, with completion slated for late 2017. The building will accommodate the 116 employees who currently work at the corporate office, along with another 40 the company plans to hire over the next three years. BHDP Architecture will design the building, and Messer has committed to a 30 percent spend with certified minority- and women-owned contractors during the construction process. On April 19, 2016, it was announced that Messer Construction Co. has earned eighth place on DiversityInc’s 2016 Top 13 Companies for Supplier Diversity ranking. 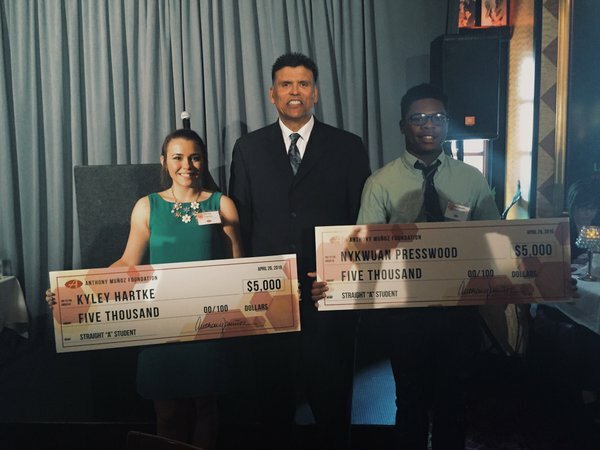 This scholarship awards high school students who are pursuing Academic excellence, Athletic Achievement, is Actively serving in the community while possessing a strong Ambition, a winning Attitude and the ability to overcome Adversity. Eighteen Tri-State students, nine male and nine female, are awarded a $2,000 scholarship. One male and one female from these top eighteen students, also receive an additional $3,000 at the recognition luncheon. Congratulations to all the winners, and a big THANK YOU to Ms. Rhonda Summerlin, Senior Career Specialist, for her wonderful support for Taft students!!! One step towards a better world starts with the Better Place Project. It is our hope and aspiration here at the Center for First Year Experience and Learning Communities that our first-year students will give back to the surrounding neighborhoods by using their knowledge and compassion to nurture and cultivate relationships between the community and the University of Cincinnati. The students support and work with various community partners in different neighborhoods, and we're very lucky that they also selected West End! You all have made a difference!!!!! So thankful for all the work done by CPS Leadership, the Principal Ms. McClain, all the teachers and volunteers, and the West End Community Council that allowed us to get here. As somebody wisely said: "When we work together, miracles happen!" Also, so very proud of all the Hays-Porter students participating in our Computer/Robotics Club - they are just awesome! 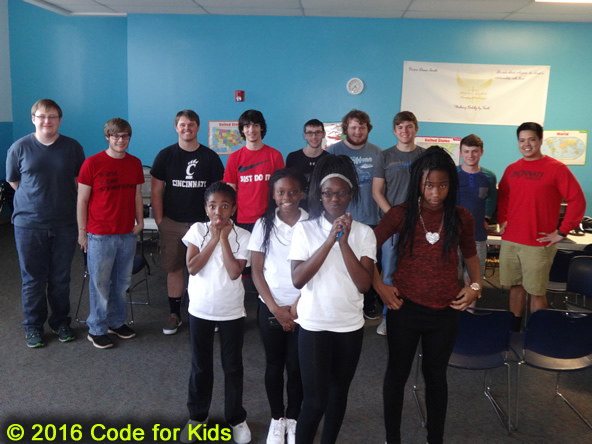 Thank you University of Cincinnati for the support for George Hays-Jennie Porter Elementary students!!!! The projects represent the breadth of knowledge covered in the IT program and highlight the three primary areas of focus: Software Application Development, Networking & Systems and Cybersecurity. 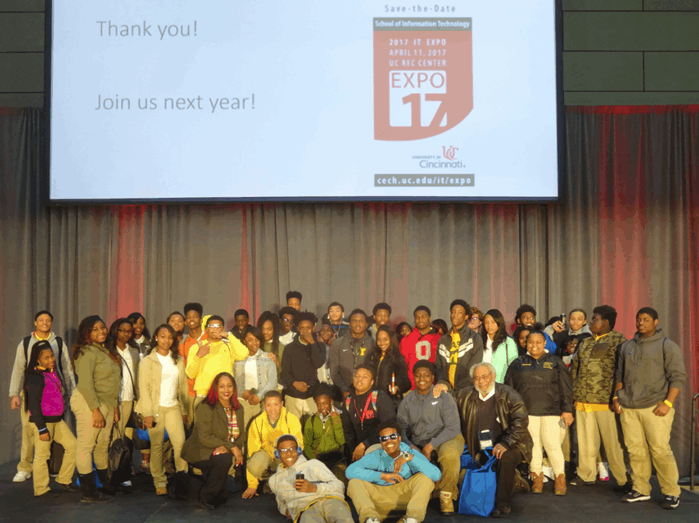 As part of outreach to High School students, UC School of Information Technology also invited Taft IT High School students. Thanks to hard work of Ms. Beamon and Mr. Woodly, 94 students were able to take advantage of the invitation, and were able to learn more about IT as a career path, and get advise from current UC IT students. The keynote speaker was Ms. Karen Chamberlain, Senior VP and CIO of Western & Southern. The participants had then chance to provide feedback, as well as to vote on priorities for individual goals. 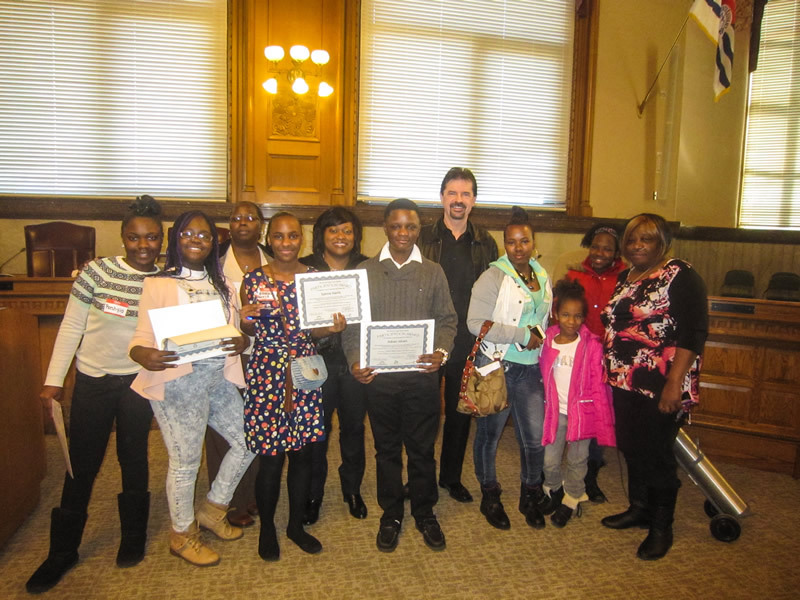 We would like to express our gratitude to Seven Hills Neighborhood Houses, LISC, and CIB, for their leadership and support for this initiative, and to the countless volunteers from the West End Community who participated, provided feedback, ideas, and are willing to continue with implementation of this vision! 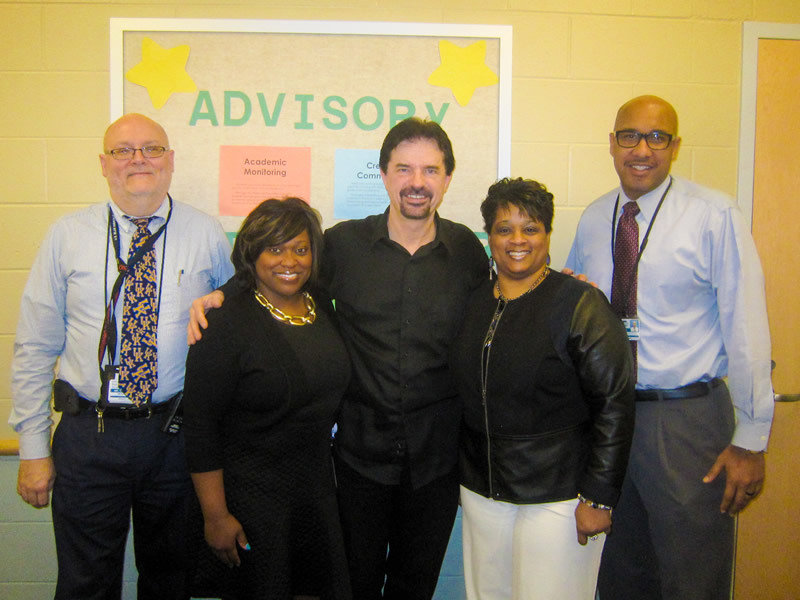 Special thanks to Cincinnati Councilmember Ms. Yvette Simpson and her staff, for their support! As somebody said yesterday, "Community is a group of people united" and we definitely could see it over the last several months during this process. 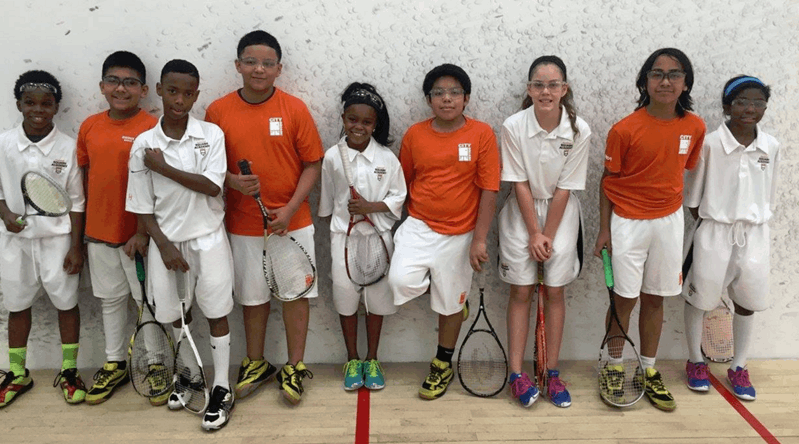 Michael White, a 6th-grade student at Hays-Porter School, was among five students selected to represent the Cincinnati Squash Academy at the Urban Team Nationals at Harvard University. His team placed 4th overall in a fierce, two-day competition against teams from the Bronx, NY; Pittsburgh, PA; and Hartford, CT.
Cincinnati Squash Academy is the city’s only urban squash organization that uses the disciplined game to help transform talented students in under-served communities into scholar-athletes, productive citizens and future leaders with character. Michael learned to play squash as part of the Families Forward after-school program at Hays-Porter, which offers a wide variety of enrichment programs that reinforce academics in fun and engaging ways. 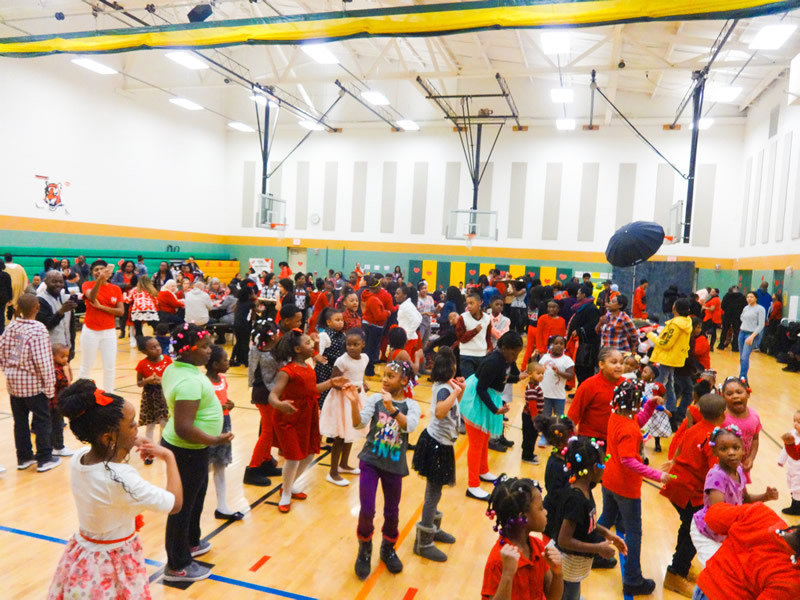 Students and their parents enjoyed the event, celebrating the school, education, and student achievements. 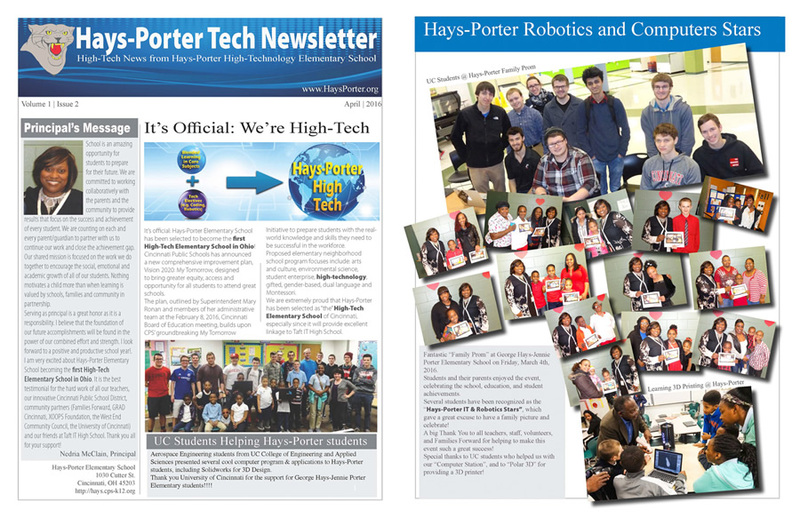 Several students have been recognized as the "Hays-Porter IT & Robotics Stars", which gave a great excuse to have a family picture and celebrate! A big Thank You to all teachers, staff, volunteers, and Families Forward for helping to make this event such a great success! 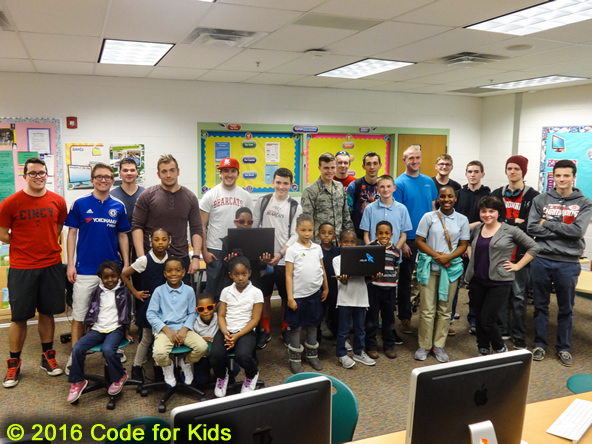 Special thanks to UC students who helped us with our "Computer Station", and to "Polar 3D" for providing a 3D printer! 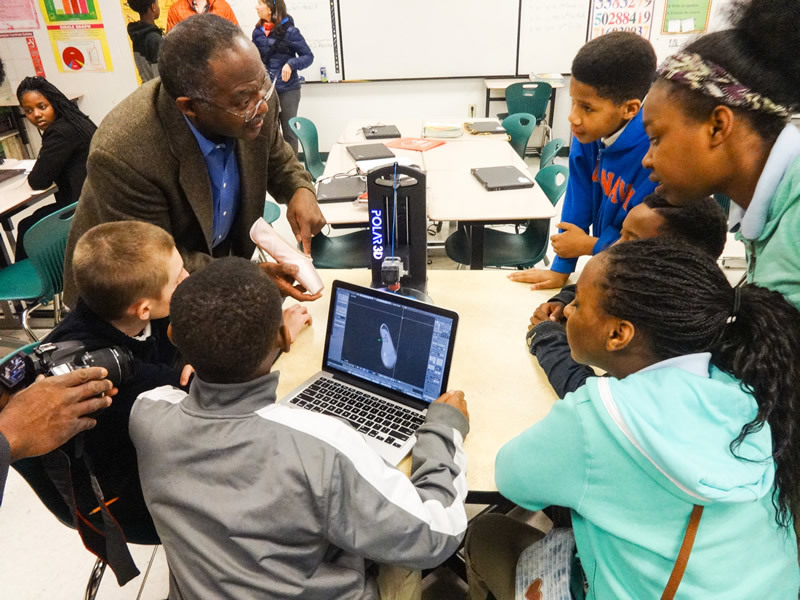 A big Thank You to PIE (Partnership for Innovation in Education: http://stem.piemedia.org/) and "Polar 3D" (http://polar3d.com/) for their support and leadership! It was especially exciting to learn that the Polar 3D company is local start-up company located in Cincinnati, founded in 2013 by William Steele and Ed Estes, and officially launched January 2015 at the Consumer Electronics Show in Las Vegas. Cincinnati is clearly becoming a "City of Innovation"
Each year, the TechOlympics Showcase is a central part of our technology competition and event. Schools work on their Showcase projects with their coach during the November to February timeframe, then present their projects as a team in front of our panel of executive judges from all over Cincinnati's business community. The Showcase projects are the single largest point-generating activity at TechOlympics. Taft Information Technology High School did compete in the Showcase Competition, with an Anti-Bullying digital story about the effects from bullying. The students have explored programs that require critical thinking, problem solving, organizational skills and creative and innovative methods of learning. Students explored coding as well as videography and the aspects of video editing which evolved into the development of this powerful digital story -- the recipe: developed characters, added music, heart, time and efforts in research and casting and staging and to sync and render it all together provided a message in a creative and meaningful story when watched. Their presentation received several positive comments from the judges. The TechOlympics event is an excellent opportunity for the students to network with other students, to learn about the latest technology trends, talk to prospective universities and companies, and to meet many interesting people from the academia and from the industry. Three members of the Taft team had also the honor to meet UC President, Dr. Santa Ono! They definitely look very good in the Taft T-shirts, they have designed specially for Tech Olympics! A big "Thank You" to Ms. Beamon and Mr. Woodly for their support for the team during preparation and for being there with the students during TechOlympics! Principals of all schools in the West End, together with the Education Committee of the West End Community Council, have formed a "West End Education Alliance" with the goal to work together to improve education of all students in West End, and as a result, to make West End a strong, vibrant, and thriving neighborhood. This powerful program, sponsored by our friends from CBTS (a Cincinnati Bell Company), has been already presented to over 200,000 students. It covered the basics concerning the evolution of the mobile and broadband world as it relates to student communication, including: sexting, bullying and social networking. It covered the causes, the technology and how parents, staff and students can help control these trends. It was presented by Mr. Stephen Smith, Director, Educational Leadership for CBTS, who is a former high school coach and teacher, who also has over 25 years experience in the world of film, video and interactive media development. For the past 12 years he has worked exclusively in the telecommunications industry. He provided an overview on the consequences of student sexting, cyber-bullying and online privacy — while also examining the technologies that enable but can also reduce these practices. 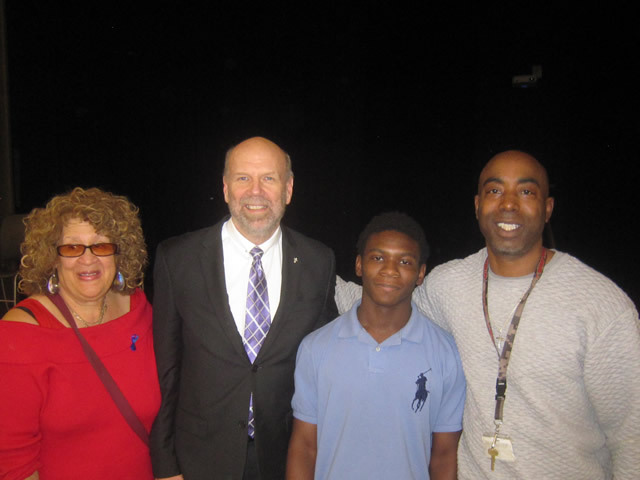 The program was organized by Ms. Jubilee Womack, who teaches Life Skills at Taft IT High School. and kudos to the Debating Coach, Ms. Lora Ward, and the School Principal, Ms. McClain, for supporting and encouraging the students to participate in this highly competitive event, against much older students! Also congratuations to Taft IT High School students for representing West End in this event! This year’s debate theme was “#What’s Trending in the World 2016 “. Six teams participated in the debate and participants will choose the human relations topic that interests them the most and if they are debating for the affirmative or the opposition. In addition to Hays-Porter and Taft, the following schools also participated: Shroder High, The M.O.R.E. Program, Woodward Career Technical High, Job Corp and Future Leaders of OTR. The Great Youth Debate is inspired by the movie, “The Great Debaters,” starring Denzel Washington. This movie is based on a true story of a head-strong debate coach who formed the students of a small East Texas college into a winning debate team that even beat Harvard’s debate team. See this very interesting article on Soapbox, called: "Why can't the West End be Cincinnati's next breakthrough neighborhood?" The short answer: YES, it can, and it WILL! And thank you CPS for sharing it!